Hello everyone and good morning! 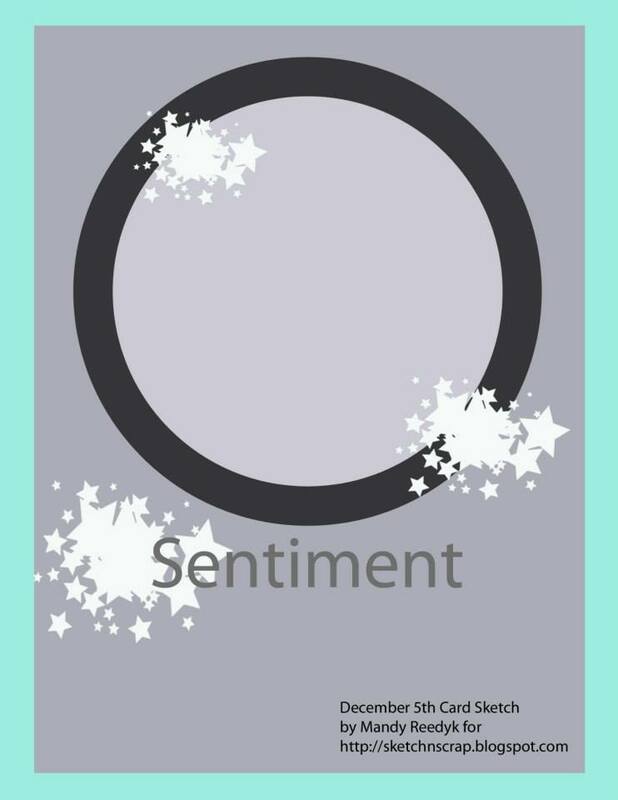 Today we are showcasing Sketch #105 designed by the talented Kelly Holifield! This sketch has so many possibilities! And here is what I came up with! I used some super cute selfies of me with Ruby and Jeffrey taken a few years ago. 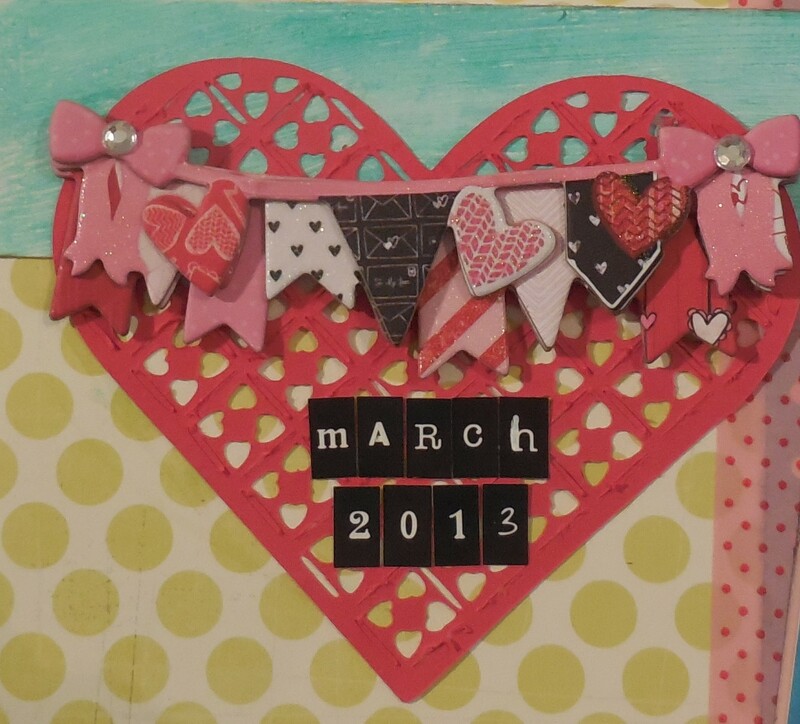 Those die cut hearts are from the Cricut cart “Edge to Edge”. They were free in the CCR the week of May 10th. I love that cartridge so much, I think I’m going to have to buy it! The pattern papers are from Basic Grey, Hey Girl! collection, with washi tape by American Crafts. 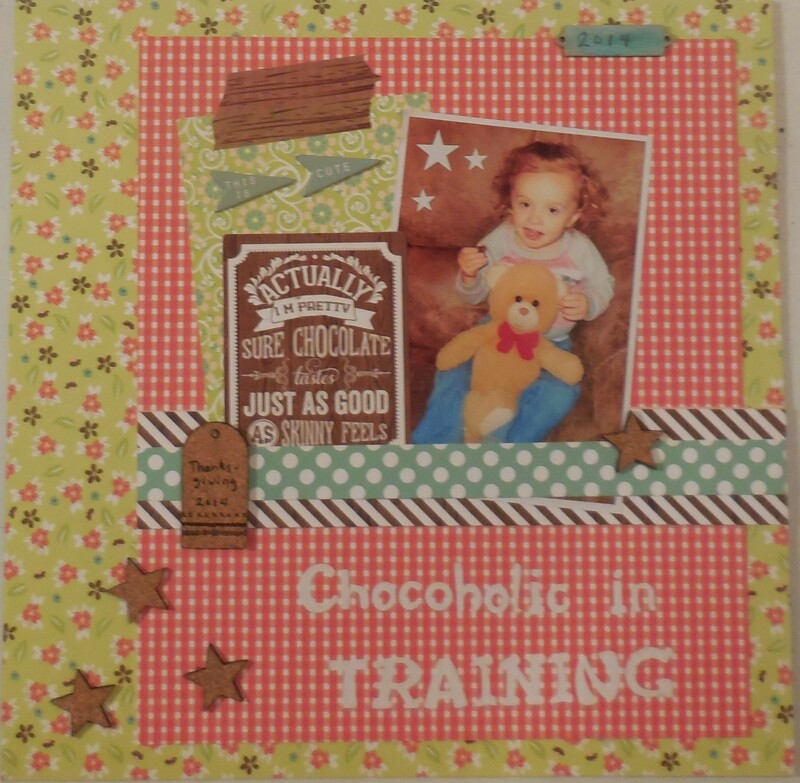 The chipboard pieces are all from Bo Bunny (see May Use It or Lose It Challenge). I thought the addition of the paw prints inside the heart-shape word bubble was a great idea! I just LOVE that banner! And get this! I cut those hearts FIRST…before realizing to pick up those chipboard pieces from Bo Bunny. And the greatest thing is is the banner fits PERFECTLY across that one heart! Win-win! My title is a mixture of My Little Shoebox and Thickers from Amy Tangerine. I colored the banner using 3 different shades of gelatos from Faber-Castell. 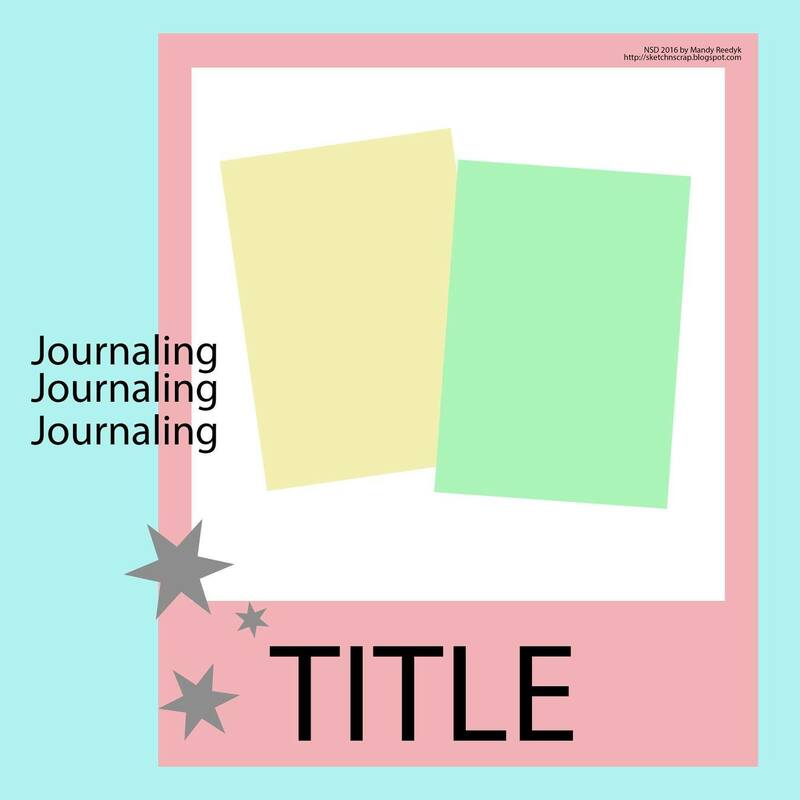 I did that to submit this layout for the Title Challenge over at ACOT this month. We are to paint under our title. I really love the look of this technique! I also combined it with the Cherryland Challenge. This month, I went with the painting for Princess Maraschino as inspiration. 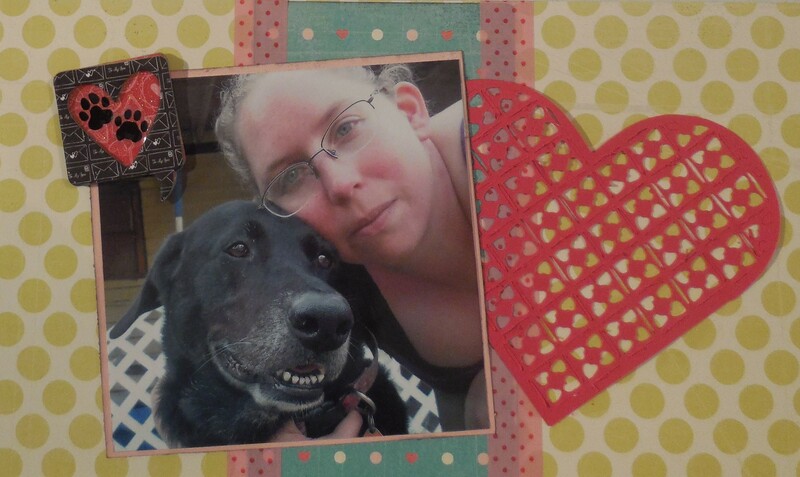 I went with pics of me and the pups, using a cherry red cardstock for the die cuts. The rest of the layout is quite soft in colors. 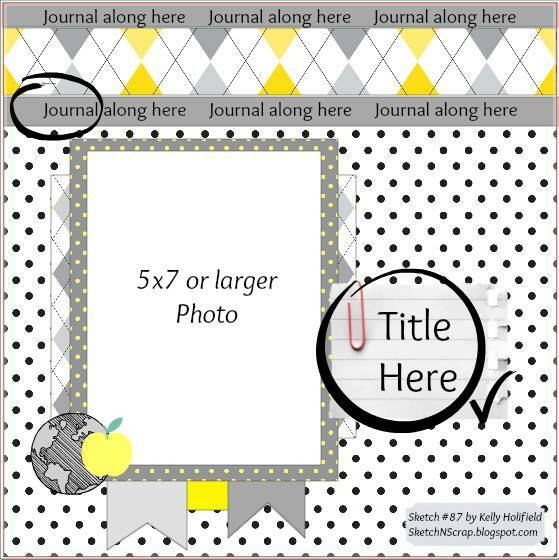 As always, check out the other layouts by the very talented Sketch N Scrap DT! Sketch N Scrap NSD Sketch Reveal! 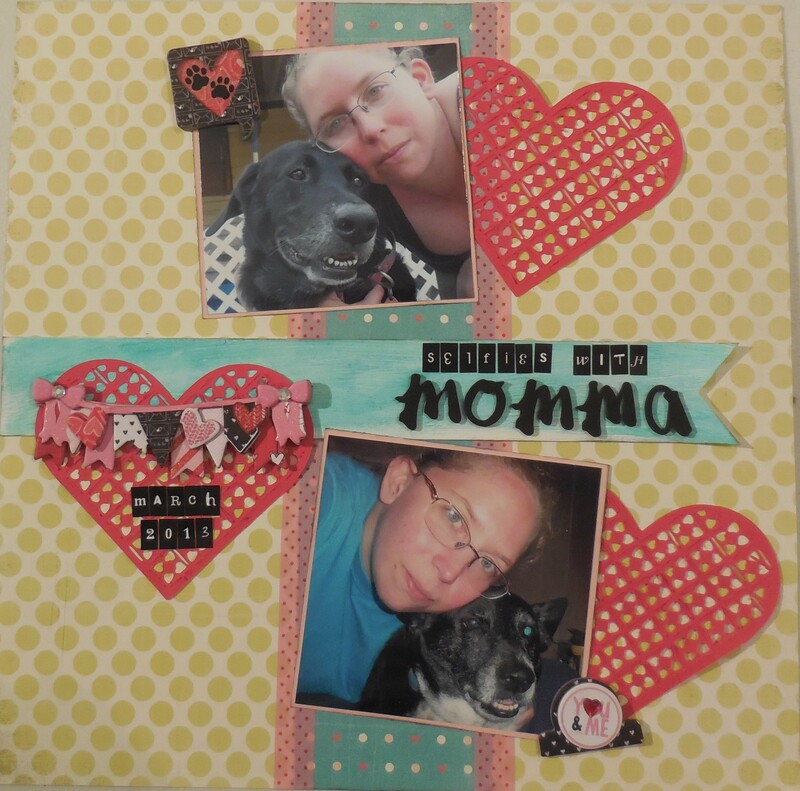 Good morning and welcome to National Scrapbooking Day! 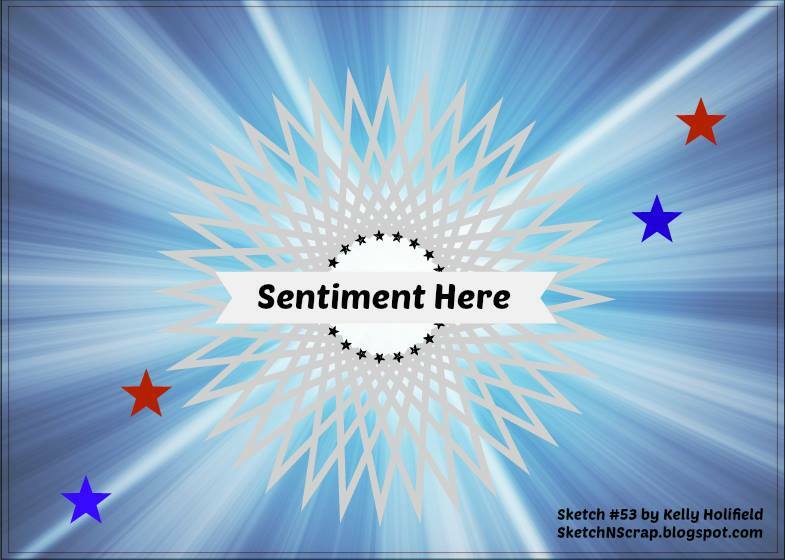 Sketch N Scrap is revealing a brand new sketch just for the occasion! I used papers from Webster’s Pages and cork embellies from Elles Studio and Freckled Fawn. Alphas and washi are from my stash. And this layout concludes my Thanksiving 2014 album! Woo-hoo! Now on to 2015! LOL. Make sure you stop by Sketch N Scrap to check out the rest of the DT’s work and play along! Sketch N Scrap #101 Reveal! 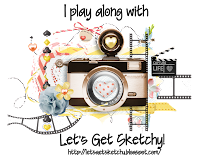 I just LOVED the small photos and the fabulous layers! Everything is Echo Park “BARK” collection! Make sure you stop by Sketch N Scrap to check out the other DT’s work. Hope you can play along this month! Good morning all! Today’s Sketch-n-Scrap sketch is by the very talented Mandy Reedyk. I fell in LOVE with the sketch the moment I saw it! I mean, just take a look at it! 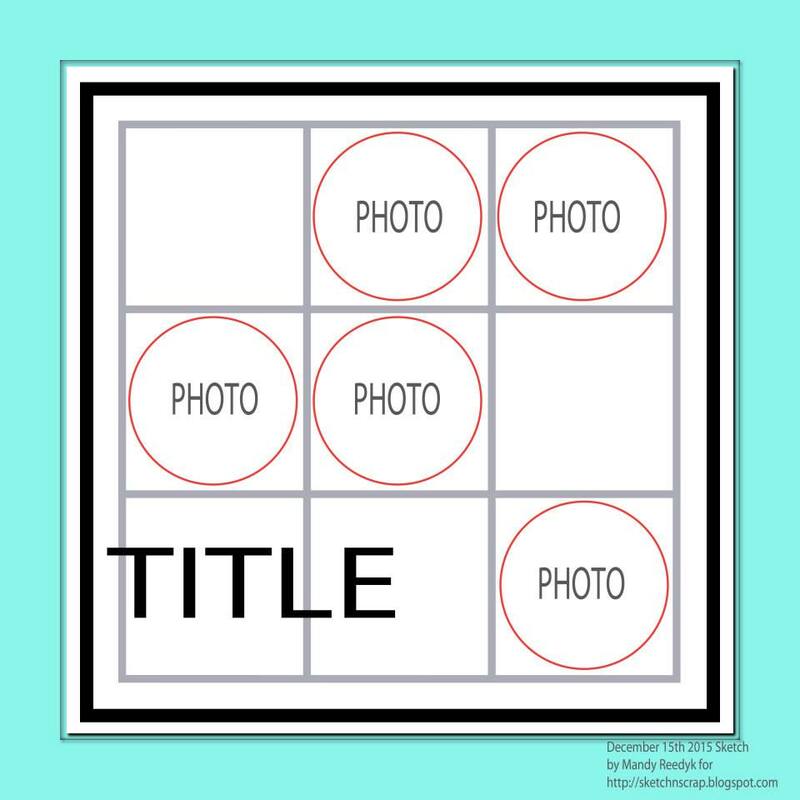 Look at those fun circle pictures! I had a lot of fun with this sketch. The pictures are of my sweet girl, Ruby Mae, a couple of years ago. I decided to tilt it just give the layout more interest. I didn’t stitch my twine, I just used some strong glue to hold it down. That quote is from a cut apart sheet from the Devoted line from Authentique. I fussy cut the paw print circle, and then added 3D adhesive to give it some dimension. The background pattern paper is also from Authentique. The Woof! 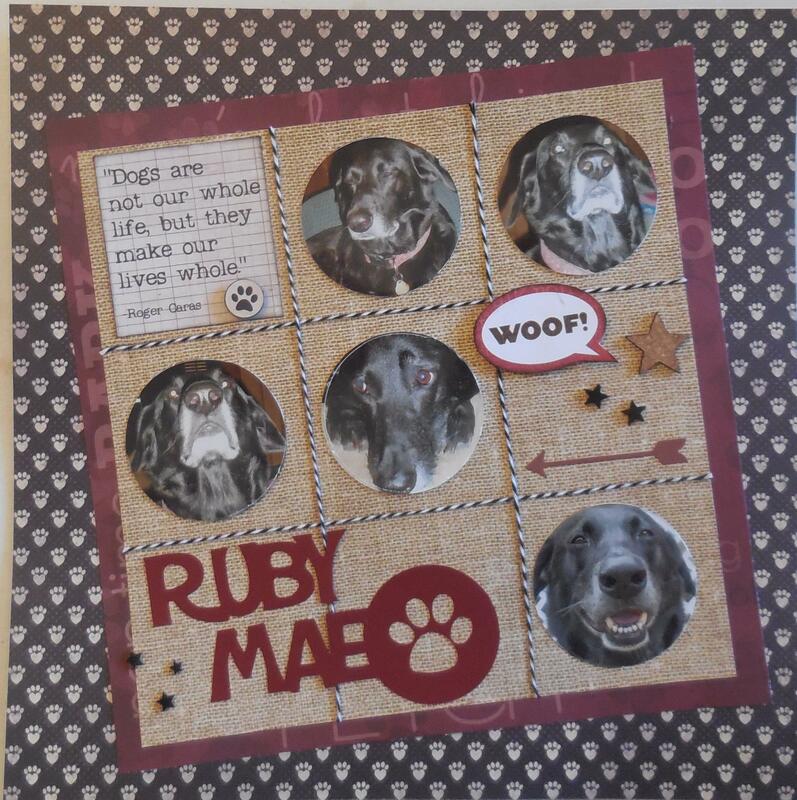 bubble is also fussy-cut from some pattern paper – from the older Woof! collection from Echo Park. 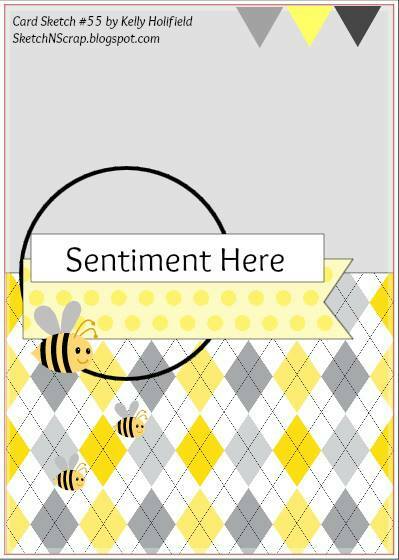 The burlap pattern paper is from KaiserCraft, as well as the arrow sticker. The cork star is Freckled Fawn, and the 2 smaller veneer stars are Studio Calico, which I inked using Clearsnap cat eye ink. 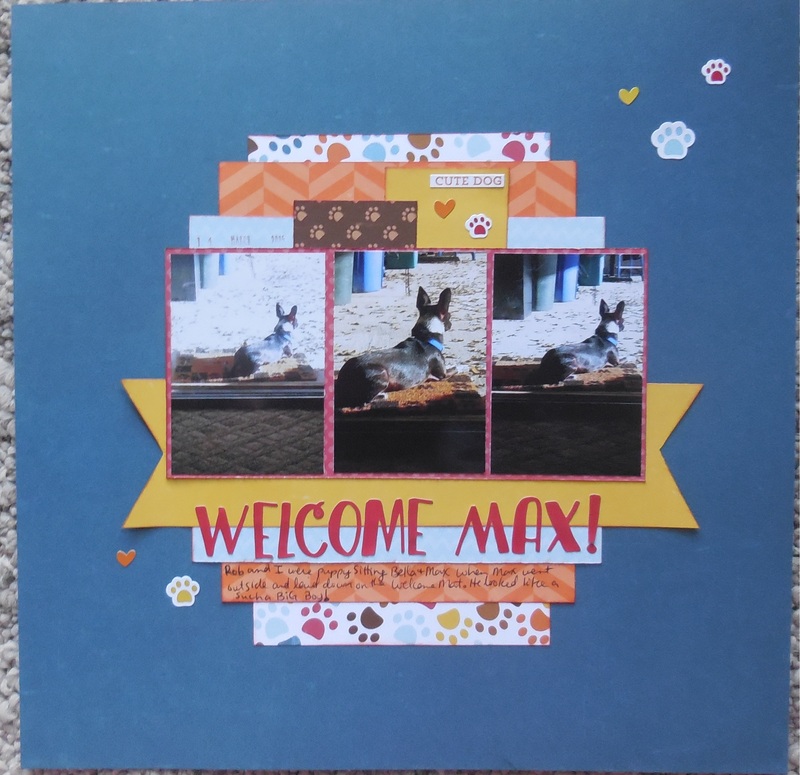 That fun die cut title was a gift from my friend Sara M. She made die cuts for all my babies. The maroon pattern paper is by Karen Foster. 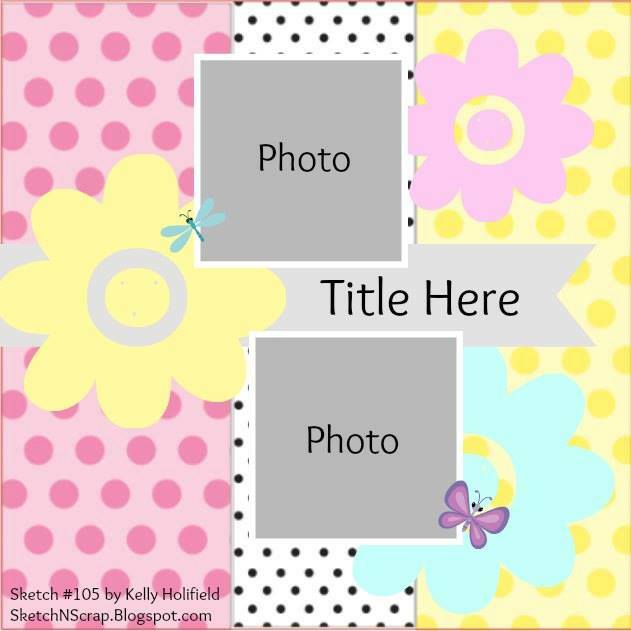 Hope you can stop by and play along with us over at Sketch-n-Scrap! Sketch-N-Scrap‘s next sketch was really fun to work with. I used a fun photo of my uncle, taken during Thanksgiving last year. 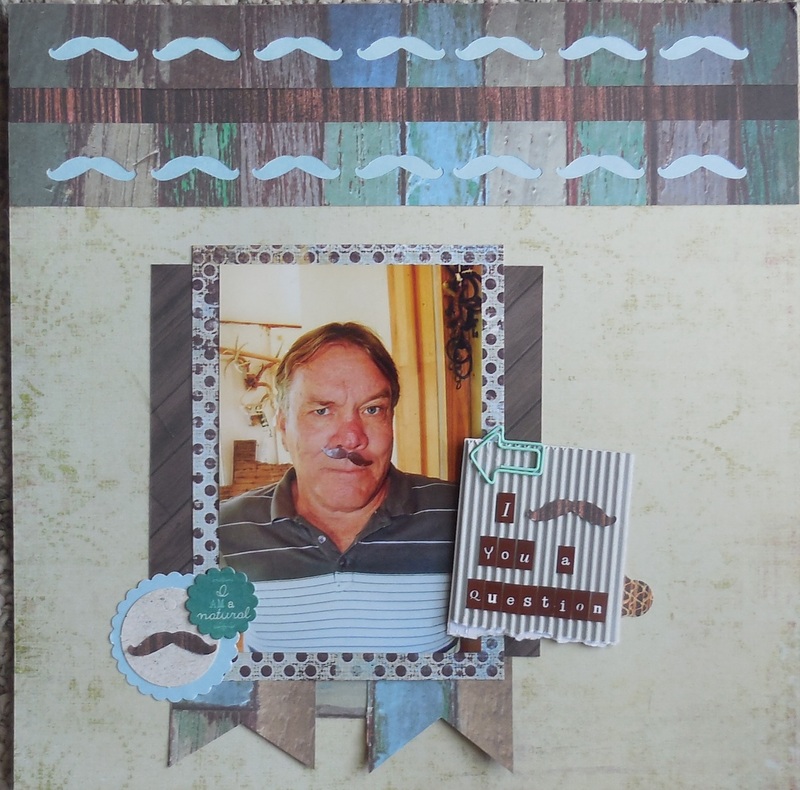 I mixed and match alot of masculine papers from MME and KaiserCraft, adding some die cut moustaches. 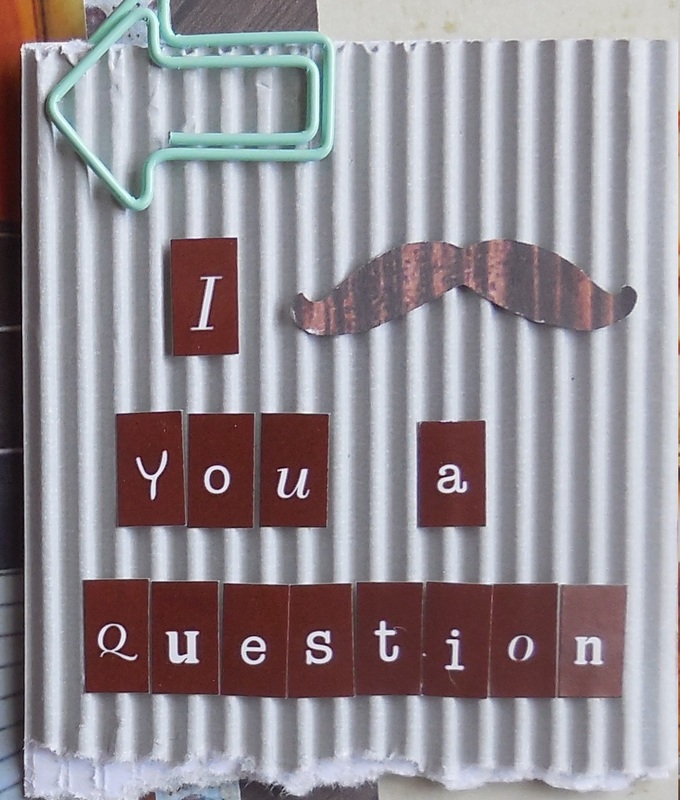 I stuck to the sketch pretty well, replacing the journaling with the larger strips of moustaches. My title is on some torn corrugated cardstock from Fancy Pants, alphas from My Little Shoebox, and arrow paper clip is from Freckled Fawn. 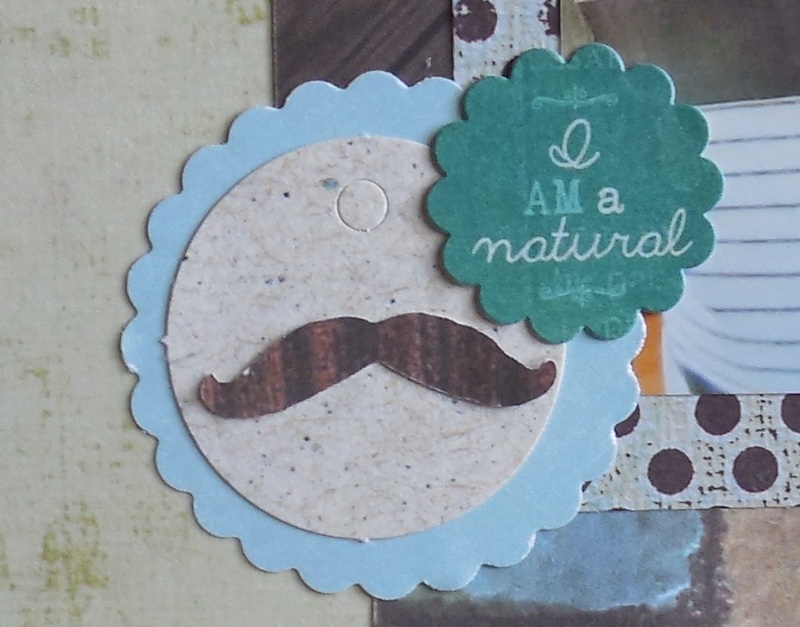 The row of moustaches are actually cut out from the wood grain paper, and I backed it from a light blue from MME. The back side of the wood grain paper is the darker, brown shade, which I used the positive pieces for my scalloped circle embellishment and title. 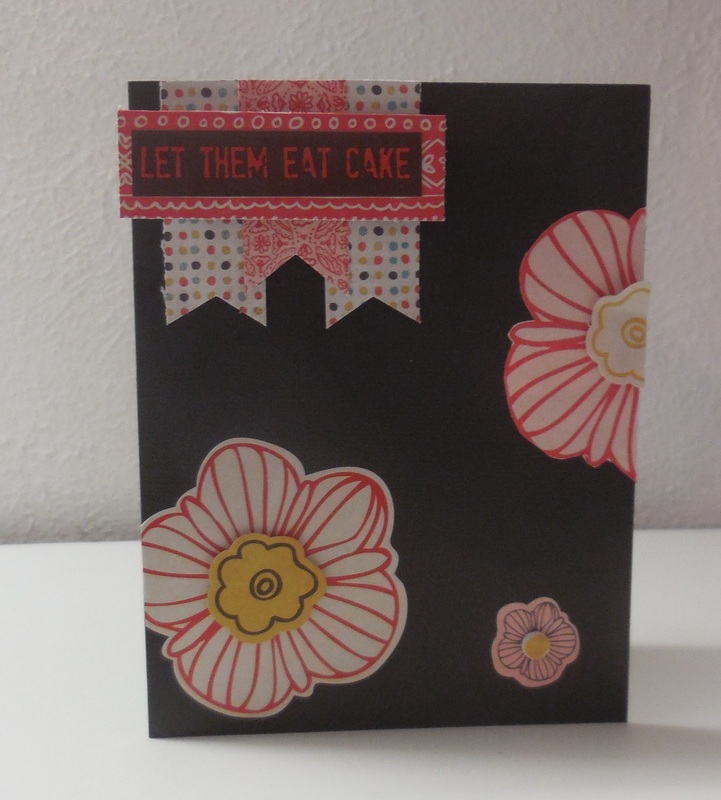 The first card sketch for August at Sketch-n-Scrap is so versatile. Kelly sure did outdo herself with the design. I know. It doesn’t look anything like the sketch. 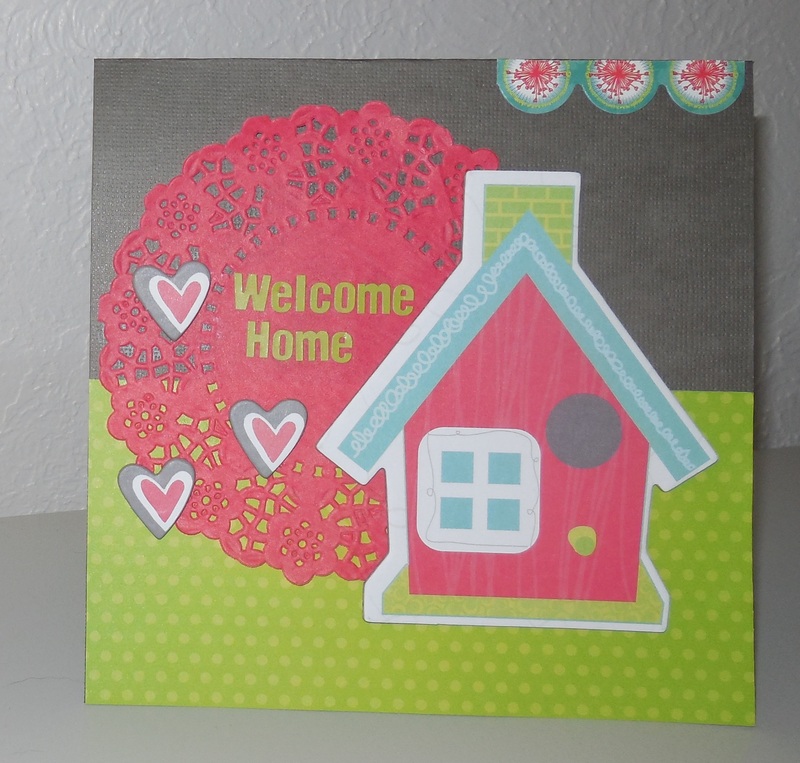 But I came across this cute little chipboard house from an older Bo Bunny collection (Alora) and I just knew I had to use it! 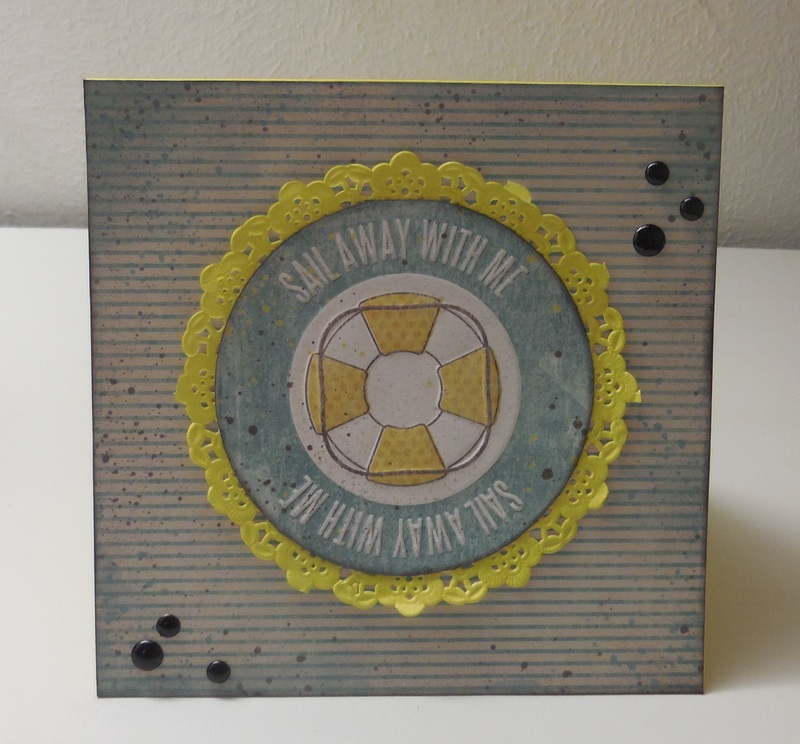 Pair the card with the colors from the house, add a doily, some chipboard hearts and a sentiment, and wholla! You’ve got yourself a super cute card! 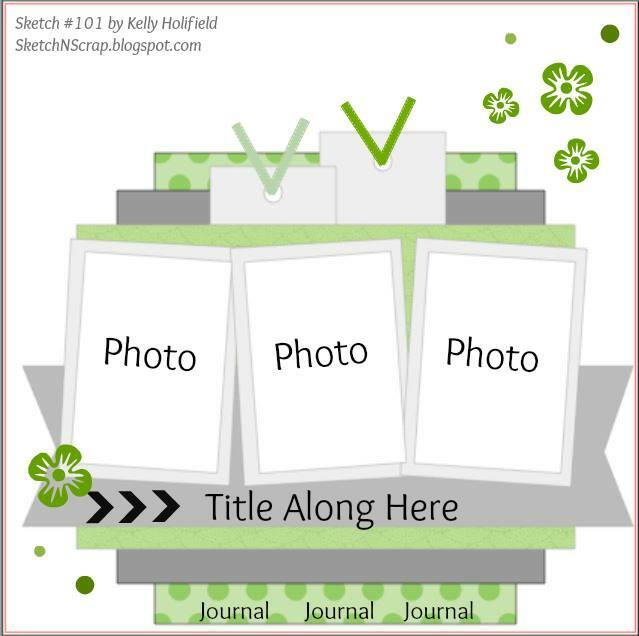 Hope ya head over to Sketch-N-Scrap and join in on the fun! 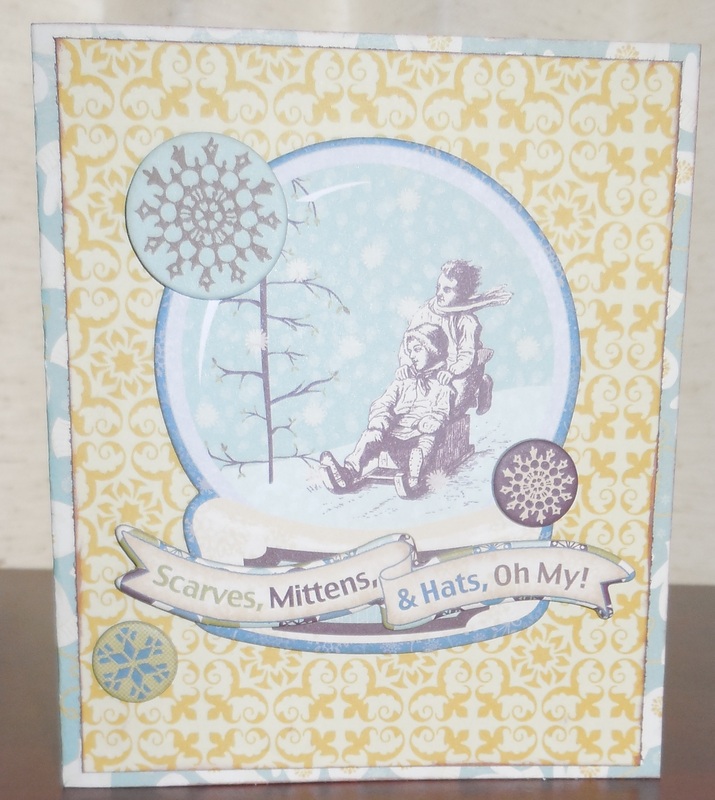 Very excited to finally get to share my first reveal at Sketch-N-Scrap. Every 5th of the month, I’ll be sharing SNS’s card sketch, with my card. When I saw this sketch, I knew I wanted to use a doily. Everything else just slowly came to me. 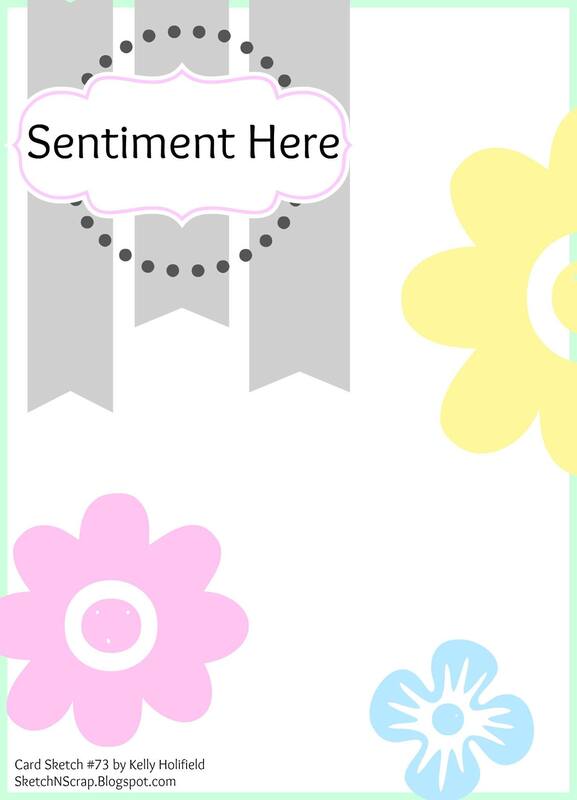 I used WRMK’s paper and sentiment tag; Doodlebug doily and enamel dots. 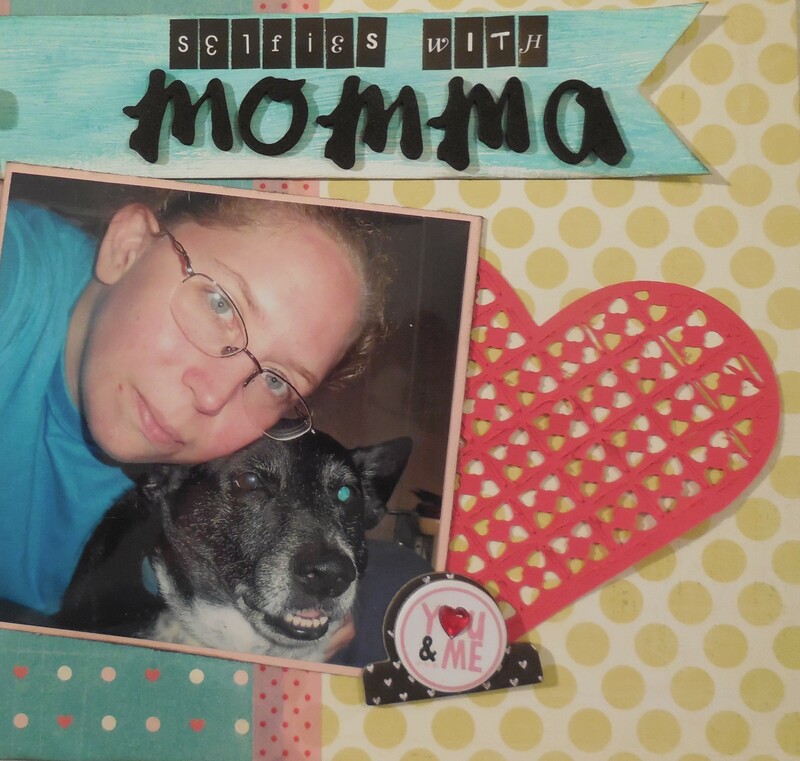 Make sure you stop by Sketch-N-Scrap’s blog to see this sketch and others!